[August, 2003] Together with friends I finished bottle no. 588 that I bought for 42 Euro in May, 2003. 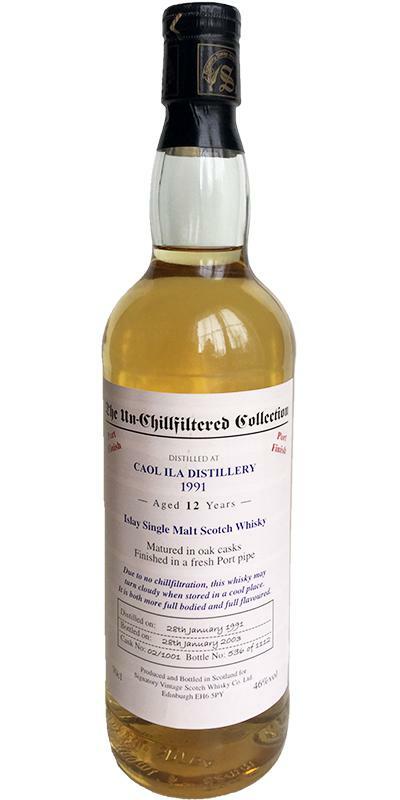 - 66 - 75 - 80 - 82,5 - 85 - 87,5 - 90 - 92,5 - 95) I scored it 87,5.
notes state just a slight port flavour and the typical young Caol Ila profile. Very quaffable... We drank bottle no. 539.